The price of non-subsidised LPG at Delhi will increase by Rs 59.00 per cylinder in October 2018 mainly due to change in international price and foreign exchange fluctuations. 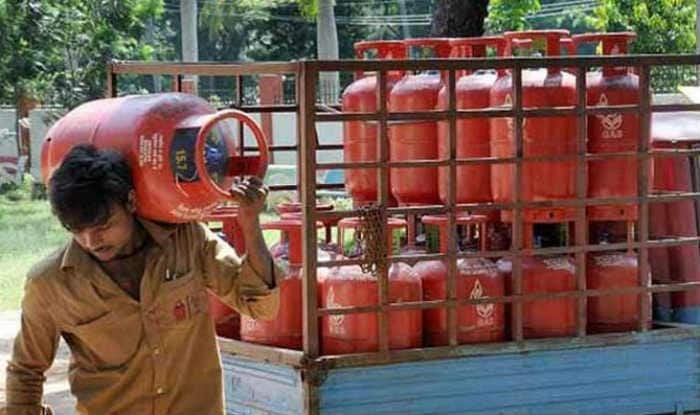 New Delhi: The price of subsidised cooking gas (LPG) price was hiked by Rs 2.89 per cylinder in Delhi to cost Rs 502.4 per cylinder. On the other hand, the non-subsidised LPG price will increase by Rs 59.00 per cylinder in October 2018. It further added that the actual impact on subsidised domestic LPG customers is only Rs 2.89 per cylinder, which is mainly due to GST on the above. The subsidy transfer in customers’ bank account has been increased to Rs 376.60 per cylinder in October 2018 as against Rs 320.49 per cylinder in September 2018. “Thus the domestic subsidised LPG customer is protected against the increase in prices of LPG,” it said. Earlier in the day, the price of CNG was hiked by Rs 1.70 per kg in Delhi, Rs 1.95 per kg in Noida, Greater Noida and Ghaziabad, Rs 1.80 per kg in Rewari on Sunday. The new consumer price will come into effect from midnight tonight, Indraprastha Gas Limited (IGL) informed. The increase in the CNG price comes in the wake of a 10 per cent surge in the price of domestic natural gas that was announced by the government on Friday, September 29. With the price hike, the new consumer price of CNG in Delhi will be Rs 44.30 per kg and Rs 51.25 per kg in Noida, Greater Noida and Ghaziabad. The price of CNG in Rewari will be Rs 54.05 per kg. The upsurge in the price of CNG comes amid the steep rise in the fuel price across the country. On Sunday, the petrol and diesel prices continued the upward trend and entered new record height. The petrol price was hiked by 0.09 paisa in Delhi, Kolkata and Mumbai and by 0.10 paisa in Chennai. After the revision, petrol is being sold at Rs 83.49 per litre in Delhi and diesel costs Rs 74.79 per litre. A litre of petrol now costs Rs 90. 84 in Mumbai and diesel is being priced at Rs 79.40. While in Chennai petrol price is Rs 86.80 and diesel is Rs 79.08. Petrol now costs Rs 85. 30 per litre and diesel Rs 76.64 per litre in Kolkata.